Today marks the first day of National Hispanic Heritage Month, and we are celebrating women pioneers and artists throughout history. From September 15, 2018 – October 15, 2018, Americans pay tribute Hispanic and Latino American Culture, and those who have positively influenced and enriched our nation and society. 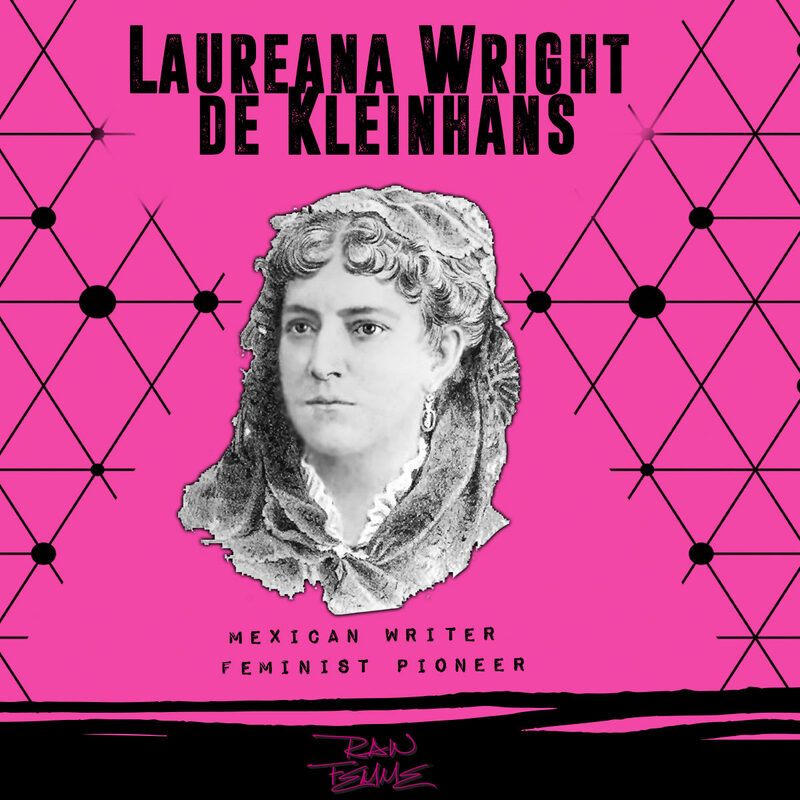 Beginning our series of tributes, meet Laureana Wright de Kleinhans, a Mexican writer and feminist pioneer. Her writings on the role of women, were revolutionary for her time. Her magazine, Violets of Anahuac in 1887, changed the paradigm by promoting as the core ideology of the magazine, the feminine ideal of a cultured, educated wife and mother. The publication promoted female education, asking women to question their role in society and the conditions in which they lived. Laureana, along with her all-female editorial team, covered topics such as education, women’s suffrage and legal equality between men and women. To bring home the point that women were capable of remarkable achievement, the journal collected and printed biographies of Mexican women, including such notable Mexicans as Sister Juana Inés de la Cruz and the second wife of Mexican President Porfirio Díaz, Carmen Romero Rubio de Díaz. It also included the histories of 29 indigenous women, which was a definitive break from the typical Euro-centric histories written at that time. She wrote patriotic poetry and served as the vice president of the Spiritualist Society of Mexico, which she joined because one of its principles held that men and women were of equal intelligence.